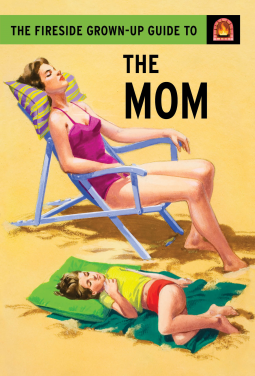 If you enjoy a good parody book that pokes fun at parenting you're sure to enjoy this one. It's a little painful because it's weirdly spot on at times, though other times I found myself raising my brow at the questionable wording. This could make a cute gift for a new mom with a good sense of humor or a terrible gift for your own mother, gift at your own risk. A mom has two very important jobs: to look after her children and to do everything else well. In this Fireside Grown-Up Guide to Mom, we learn about what moms like (making toys out of corks from her many, many wine bottles), what she hates (the sound of her own voice, which now sounds just like her mom’s), what she’s really thinking about when she leaves her children with a babysitter (whether or not the babysitter can handle these little monsters), and many other enlightening facts.